WASHINGTON — In his first public message since taking office, acting VA Secretary Robert Wilkie promised to continue to build a customer-service focus for veterans programs and to tamp down agency infighting as the administration tries to stabilize the embattled department. 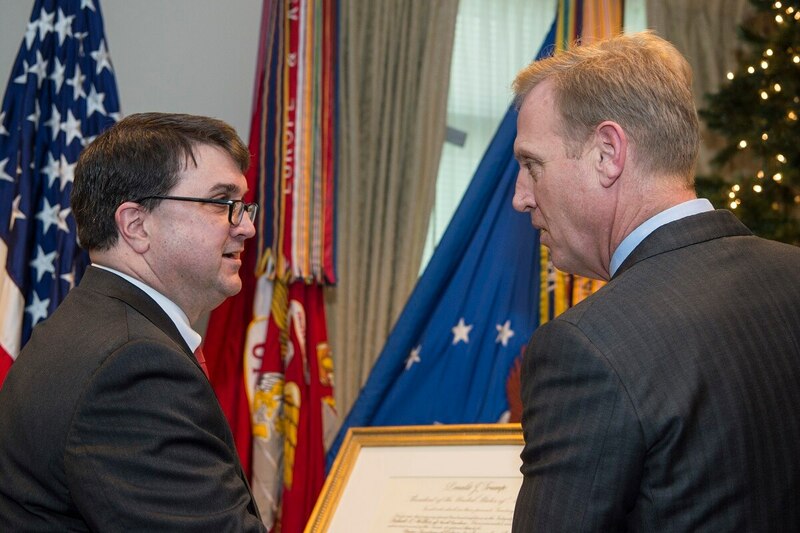 Wilkie, who was named to the top veterans post last week after the abrupt firing of former VA Secretary David Shulkin, had previously worked as undersecretary of defense for personnel and readiness. On Tuesday, officials from AMVETS and some Democratic lawmakers questioned President Donald Trump’s decision to place Wilkie in the acting post, saying the role should have gone to VA Deputy Secretary Tom Bowman instead. Bowman has been rumored to be fired or dismissed in coming days. Critics say Wilkie’s appointment raises multiple legal questions that could undermine any decisions he makes while the administration awaits the confirmation of former White House physician Dr. Ronny Jackson to take over the permanent VA secretary role. In his video, Wilkie acknowledges that “I do not know how long I’ll be privileged to serve as the acting secretary” but promises to work to better the department during his time there. He also discusses his own military service and that of his family members, underscoring the important role VA plays in supporting all veterans. Wilkie’s message of more collaboration and cooperation between federal departments comes after months of infighting between political appointees in the administration and Shulkin, who has attacked those critics for encouraging his firing to advance policies that will undermine VA funding and privatize some VA health care programs. White House officials have denied those charges.